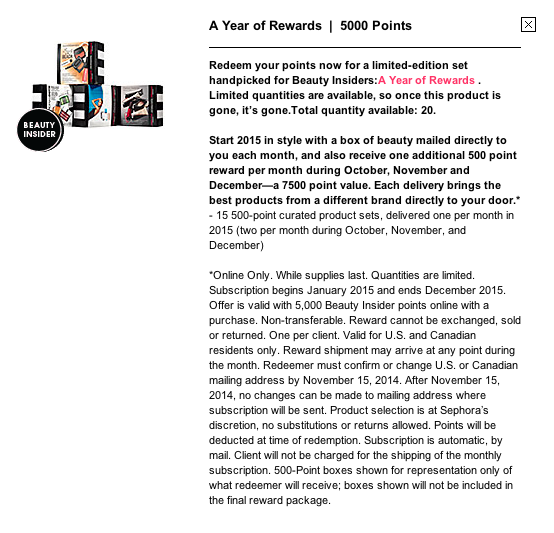 Today, I came home to see a list of new rewards from Sephora. 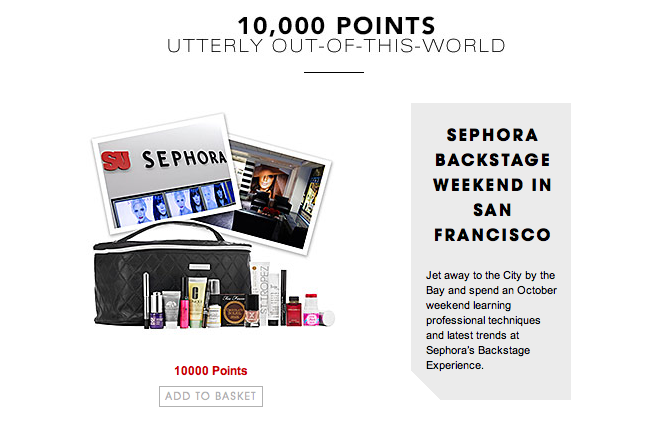 Now I know there's a lot of un-fairness with some of Sephora practices in regards to their pricing etc BUT I still get excited seeing these rewards. Sadly when I came home, most of them were either unavailable or not up for grabs yet. 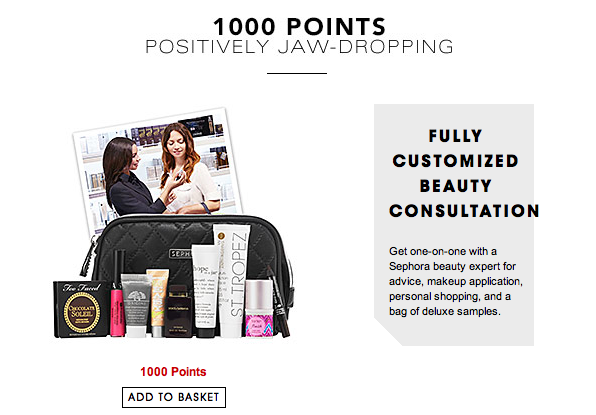 I'm not including their 100 / 500 point perks since those are more common and always there..
For 1000 points this one is alright if you're looking for help with your look. I personally don't care for this one. 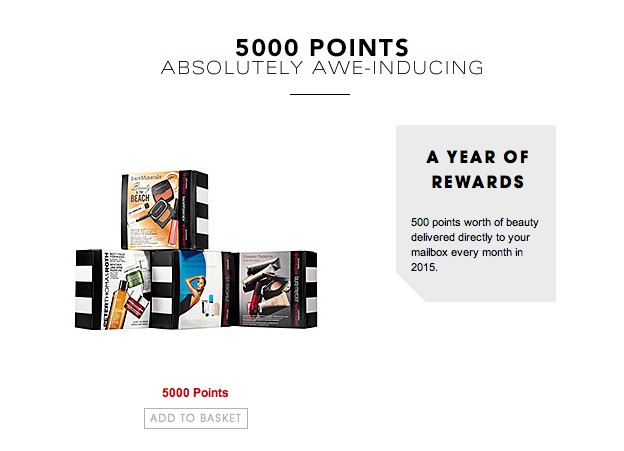 With my shopping habits and overall 100 points etc redemptions I have most of those deluxe samples pictured and with my VIB ROUGE status, I get unlimited access to the beauty studio. If you're interested in spending 1000 points, I would point you to the Marc Jacob Love & Lust Lip duo which includes a full sized Cabaret lipstick and Shooting Stars lipgloss. Review for that is coming up. 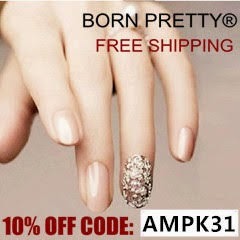 This one is pretty amazing, I totally have a soft spot for SF. 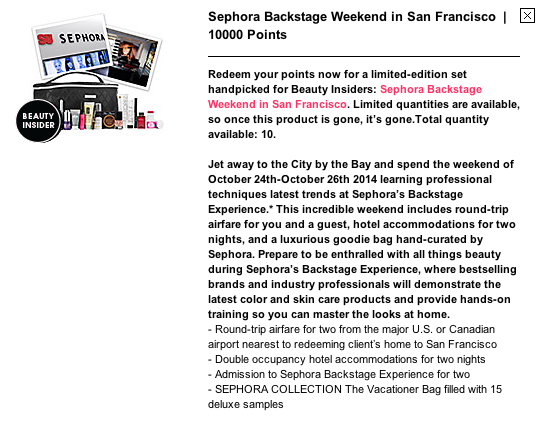 So for 10000 points, you get 2 roundtrip tickets to SF, a hotel room, a bag filled with goodies and access to Sephora Backstage experience. The date is already set for October 24th-26th! 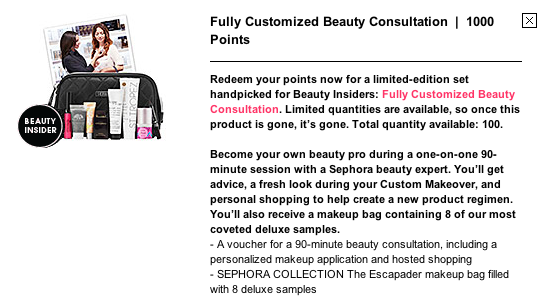 Photos and information was screencapped from sephora.com via my account.